Cost effective, self-contained, robust portable contour solution with built in 90 mm Z height adjust and optional 450 mm column to accommodate large or tall components. Simple, single user interface for calibration, measurement and analysis read more. 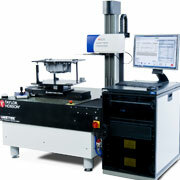 Precision shop floor solutions for surface finish and contour measurement read more.